In today’s information-heavy world, it’s hard for any particular topic to bubble to the top of the headlines and remain relevant year after year. But breast cancer does just that, and that is a testament to the seriousness of the disease and to the efforts of advocates, scientists, health care providers, policymakers, and the public to raise awareness of breast cancer and work for better ways to treat and prevent it. Breast cancer continues to be the most common cancer in women in the United States and is the number one cause of cancer death in women globally. More than three million American women are breast cancer survivors. And while treatment of the disease has greatly improved over the past number of decades, we have yet to see the same progress in and dedication of resources to its prevention. Yet, we know that prevention works and that preventive steps have the power to reduce the burden of breast cancer. Half of all breast cancer cases could be avoided with healthy behaviors. And increasingly good data show that healthy behaviors started early in life can have an even greater impact on later adult breast cancer risk. In the span from childhood through when a woman has her first child, breast tissue seems particularly susceptible to certain breast cancer risk factors, so healthy behaviors started in youth and then continued have the potential to have a major influence on lifelong breast health. Putting such knowledge into practice is key. Yet, there are many challenges to doing so, one of which is simply making available reliable information about prevention that women feel they can apply. The Health Information National Trends Survey, for example, found that more than 70 percent of those surveyed agreed with the statement, “There were so many recommendations about preventing cancer that it’s hard to know which ones to follow.” And a recent piece on health literacy in the Journal of the American Medical Association highlighted the persistent chasm between the types of health information many people have access to and what they actually need to be able to make sound health decisions. Of course, there are a number of dedicated organizations working to overcome such issues and provide excellent, evidence-based information to women who want to take steps to lower their risk of breast cancer. My team and I have been striving to do this as well for nearly two decades with our “Your Disease Risk” website, Zuum app, “8IGHT WAYS to Prevent Cancer” series, and other projects. Most recently, we have launched a free e-book specially focused on breast cancer prevention tips for women at every stage of life. “TOGETHER – Every Woman’s Guide to Preventing Breast Cancer” provides background information on the disease, helps women put risk in perspective, and provides practical prevention tips for adults, including parents and grandparents who want to guide the girls in their lives toward lasting breast health behaviors. It is co-authored with Katherine Weilbaecher, MD, and Hank Dart, MS and is available through Apple iBooks as well as in other e-book formats. For parents and grandparents, there are specific guides for fostering healthy choices in children of various ages (see figure). For young girls, the focus is on healthy growth, being active, and eating a healthy diet. For older girls, messages about the risks of tobacco and alcohol are added to the mix. Throughout, the emphasis is on practical, easy tips that busy parents can follow. Let little legs move: When it comes to young kids, it’s really less about making them reach time targets for activity than it is about simply giving them the opportunity to be kids because being active is their natural state. Freeze the screens: Too much screen time takes time away from physical activity and can promote unhealthy eating. Offer a lot of plant foods: When it comes to promoting breast health later in life, getting daughters to eat a lot of plant-based foods early in life is important. This means focusing on fruits, vegetables, nuts and whole grains, and eating less full-fat dairy and meat. Don’t obsess but keep track of weight: Weight can be a sensitive issue, especially for girls. However, it’s important for parents to know whether a daughter’s weight may be too low, too high, or in the normal range. Studies show that many parents don’t know if their children are unhealthy regarding weight. Begin the conversation about smoking: It’s almost never too early to talk with kids about the importance of never smoking. To be sure, messages like these are only part of the complex fight against breast cancer – a fight that cuts across many disciplines and many layers of society. But providing women with practical, evidence-based tips for lowering their risk – and the risk of their daughters and granddaughters – is an essential part of the process. Graham Colditz, MD, DrPH. Photo courtesy of Washington University School of Medicine in St. Louis. 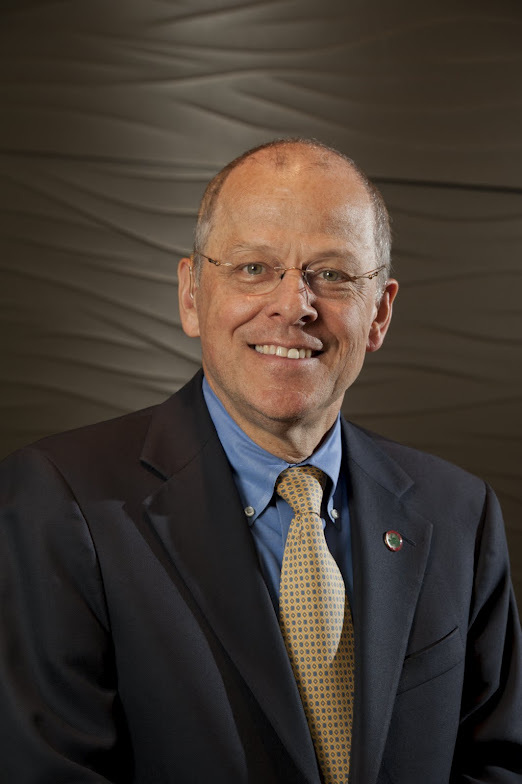 Graham A. Colditz, MD, DrPH, serves as Niess-Gain Professor of Surgery, professor of medicine, and associate director of prevention and control at the Alvin J. Siteman Cancer Center at the Barnes-Jewish Hospital and Washington University School of Medicine in St. Louis. He received the 2014 AACR Award for Outstanding Achievement in Cancer Prevention Research at the 13th Annual AACR International Conference on Frontiers in Cancer Prevention Research. Colditz has been an active AACR member since 1996, serving on several research grant and awards committees and as a mentor in a grant-writing workshop. Read his full bio.